What should you look for in a Declaration of Compliance? Regardless of whether you’re a food producer or a cleaning equipment distributor, you are entitled to see the food safety documentation on any plastic cleaning equipment you purchase. In Europe, all plastic materials intended for use in contact with food or on surfaces in contact with food have to be accompanied by a Declaration of Compliance. But what should you look for in a Declaration of Compliance, and which information is mandatory? Find out the nine items that have to be included in a Declaration of Compliance. Do you want hazardous substances in your food products? Well, the obvious answer is “no”. But how do you make sure the plastic equipment you purchase for your food production setup doesn’t transmit unwanted substances into the food you produce, process or package? And how do you check all this? The Declaration of Compliance (DoC) is the document in which Vikan as a plastic equipment supplier guarantees that our products comply with the relevant EU regulations and provide you with the right conditions for use to avoid your food products being affected by hazardous chemicals. More and more auditors at food factories throughout Europe are also focusing on the right documentation being present in the DoC of Food Contact Materials. If such documentation isn’t available, this will usually result in a non-conformity during an audit. In the following, I‘ve explained which items it’s important you check for in a DoC. What’s a DoC all about? The DoC is a requirement in Article 16 in the EU food contact material Framework Regulation (EC) 1935/2004 and more details are set out in Annex IV of the Plastics Regulation (EU) 10/2011. This all means that all European manufacturers of plastic material that comes into contact with food are obliged to issue a DoC for the articles and products they provide. You can find more details about these regulations in the Vikan whitepaper entitled “Are your cleaning tools food safe?". In the following I will refer to the EU regulation (EC) 1935/2004 as (EC) 1935/2004 and the Plastics Regulation (EU) 10/2011 as (EU) 10/2011. Did you know that the DoC requirement extends all the way from the chemical supplier to any intermediate plastic supplier (suppliers of things like plastic granules and masterbatch) to the supplier of the finished plastic article (in this case Vikan), to the distributor and finally to the end-user? This entire supply chain relies on clear communication from one step to another, and all documentation must be exchanged one step back and one step forward within that chain. In the case of Vikan as the supplier of an article made of plastic, this means we have to gather the appropriate DoC documentation from the intermediate plastic suppliers that will then enable to carry out the necessary steps, including migration calculations and/or migration analysis, to demonstrate compliance with the regulations currently in force, and to manufacture food-safe plastic products. Based on this information, we issue a DoC for each of the finished articles in order to inform our distributors and end-users that each article is in compliance and exactly which use it is intended for. But what information is mandatory on the DoC, and what is important for you to look for in a DoC when you’re a user of plastic cleaning equipment in the food industry? I will now briefly run through the nine important items laid out in Annex IV of (EU) 10/2011, and then clarify each item afterwards. The identity and address of the business operator issuing the declaration of compliance. This lists the official name and address of the company issuing the DoC. The identity and address of the business operator which manufacturers or imports the plastic material or article. The official name and address of the manufacturing company. If the same company is issuing the DoC and manufacturing/importing the product, points 1 and 2 can be combined into one. The identity of the plastic material or article (trade name and material types). You need to know which product/products are covered in the DoC. The products should be specifically identifiable via something like an item number. With regard to the materials used, it is important to declare the type of polymer used in the material. Other materials – such as adhesives, coatings or inks – should also be listed. Please note that the European Union Guidance on Regulation (EU) No 10/2011 states that “Several materials with different composition leading to significant differences in reportable substances cannot be covered by one DoC.” The Vikan DoCs are therefore prepared so that each DoC only covers one item number. Any stainless steel and aluminium used together with the plastics are always mentioned in the Vikan DoC. The date of the declaration. We recommend that the declaration is reviewed and updated regularly. Vikan updates the DoC each year, as a minimum interval, and/or when a new amendment is added to (EU) 10/2011. Confirmation that the plastic material or article complies with relevant requirements of the Regulation (EC) 1935/2004 (Article 3, 11(5), 15 and 17) and the Regulation (EU) 10/2011. This confirms that the plastic article is manufactured using only monomers, other substances and additives that are listed and authorised under (EU) 10/2011. The DoC should also mention that the article complies with the overall migration limit (OML). Details about the test conditions, such as any food simulants used and the OM test number according to Annex V to (EU) 10/2011, can be included. Part of complying with (EU) 10/2011 is that a company’s manufacturing processes must comply with good manufacturing practices (GMP) as set out in Regulation (EC) 2023/2006. This regulation should therefore also be mentioned, if appropriate. Information on substances with restrictions in Annex I or II of (EU) 10/2011. This provides the identity of any substances with specific migration limits (SML) in Annex I and II of (EU) 10/2011, or information about the presence of any such substances. There should also be confirmation that the substances featuring SMLs do not migrate above the migration limit, if used under the specified conditions. In the Vikan DoC, this confirmation is based on either migration analysis or migration calculation. Information on dual use additives as listed in the European legislation on additives or flavourings, (Regulation (EC) No 1333/2008, Regulation (EC) No 1334/2008). This provides the identity of any dual-use additives – additives or flavourings that can be used in plastics as well as in food – or information about their presence. (i) type or types of food with which it is intended to be put in contact; It is important to know which kind (aqueous, acidic, alcoholic, fatty and/or dry) of food the plastic product is intended for use with. Only products that have been tested in the food simulants 10% ethanol, 3% acetic acid and olive oil are suitable for use in contact with all food types. You should be aware of any restrictions in food types. (ii) time and temperature of treatment and storage in contact with the food; How long can you use the product in contact with food and at which temperatures? This information is crucial for the safety of your food products. (iii) ratio of food contact surface area to volume used to establish the compliance of the material or article; This is technical information from the test laboratory about the ratio of food contact surface area to volume that has been used to determine the compliance of the product. This figure is often given in dm2/ml. When a functional barrier is used in a multi-layer material or article, the confirmation that the material or article complies with the requirements of Article 13(2), (3) and (4) or Article 14(2) and (3) of the Plastics Regulation (EU) 10/2011. This point is only relevant for multi-layer articles that feature a functional barrier. This point confirms that the non-authorised additives behind the functional barrier are not mutagenic, carcinogenic or toxic for human reproduction, and are not in nano-form. It also confirms that the non-authorised substances comply with the detection limit of 0.01 mg/kg. There is no functional barrier of this kind in any Vikan products. Now you should be updated about all the requirements featured in a DoC, and you’ll know what to look for next time you receive a DoC. Here at Vikan, we put a lot of work into ensuring that the products you buy from Vikan are tested and documented in accordance with all legal requirements. This means that you can rely on our products to be food-safe and to be accompanied by the correct documentation. The DoCs for the Vikan products you use are available at www.vikan.com/us We recommend that you download them so that you’re well prepared for your next audit. For more information about the contents of any Vikan DoC and regulations on food contact material, please contact me – Stine Bislev – at sbi@vikan.com. Vikans UST brushware reduces bristle loss and helps protect your business from foreign body complaints – read more. 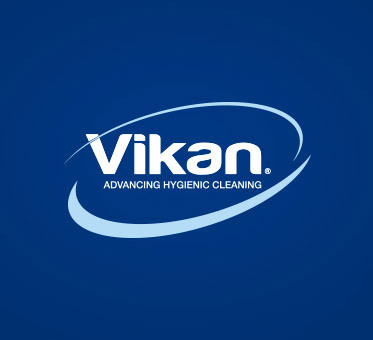 Finding the right Vikan squeegee for the right job helps you raise hygiene standards as well as boosting your employees’ job satisfaction.